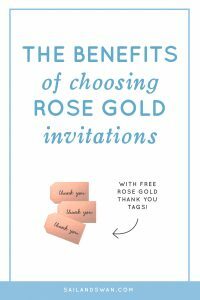 Today I am looking at the benefits of choosing rose gold invitations for your wedding. 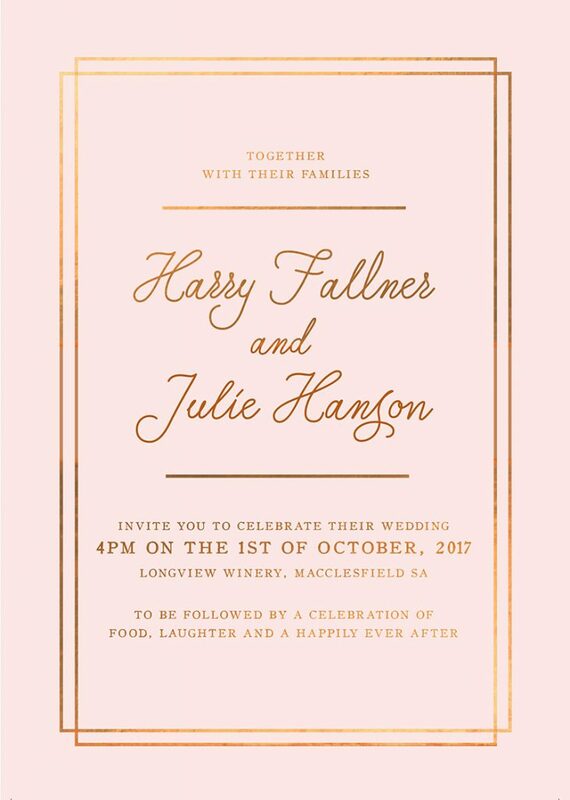 We create all sorts of stationery on a daily basis here in the studio at Sail and Swan, so I’ve seen a lot of stationery in my time, and I’m going to help you weigh up whether Rose Gold Invitations are good option for you or not. By the way, did you know that today’s blog comes with an awesome freebie?! 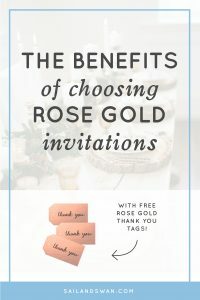 I have made up a Printable Rose Gold Tag Set that you can use for your wedding day! 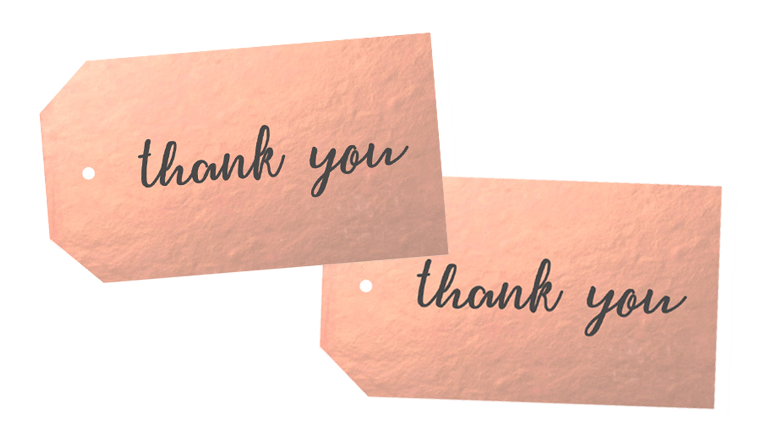 Simply click the image below to get your free printable. Real (genuine) rose gold is a valuable substance, often used in jewellery and high end products. As a result, rose gold is associated with luxury. 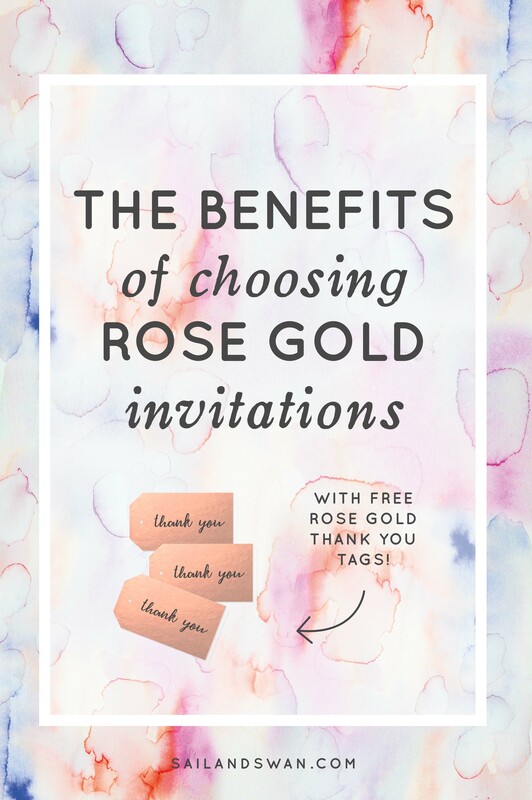 By printing with rose gold foil, you are creating a high end and luxurious finish for your invitations. Not only will it add class to your wedding, but it will actually make your wedding appear more expensive and higher in quality. 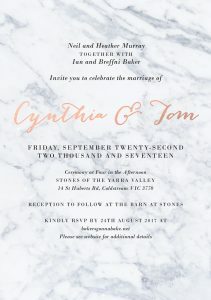 This makes for a great first impression when your guests receive their invitation in the mail; it is a sneak peek of what they can expect at your wedding. 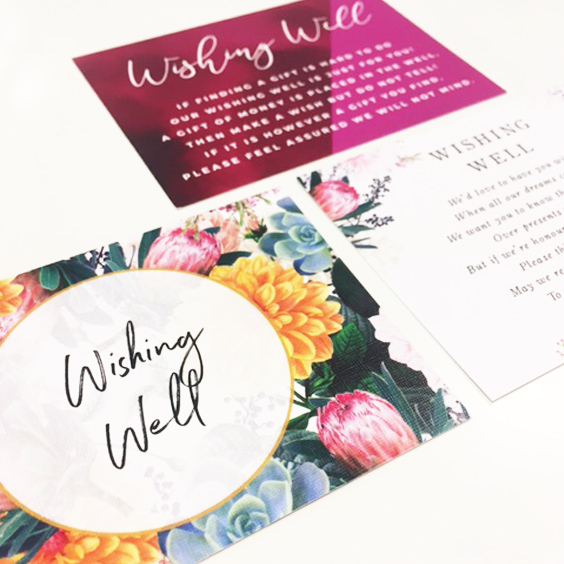 If you’re not sure what foil printing is (or foiling) then you check out this post about it here where I discuss it in detail. The metallic nature of rose gold foil is one if its best qualities! It causes it to shine and reflect light, making it extremely eye-catching. As it shines, it makes the foil design ‘pop’ and stand out against the card stock. Due to it’s eye-catching and shiny nature, using rose gold is a clever way to make a simple design have a large impact and wow your guests. You don’t need an overly complicated design to make an impact – less is more in this case. When it comes to rose gold, I prefer to let this gorgeous metallic colour be the hero of the piece. It’s a high quality finish that speaks for itself, and doesn’t need much added to it. 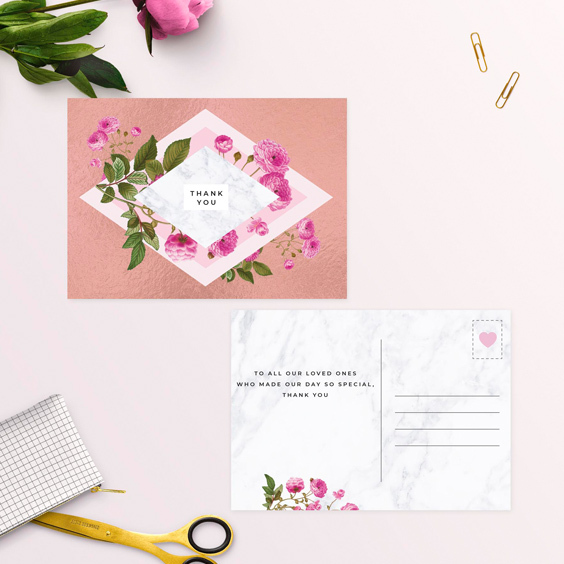 With so many designs and options available when it comes to wedding stationery, it can be hard to stand out from everyone else. 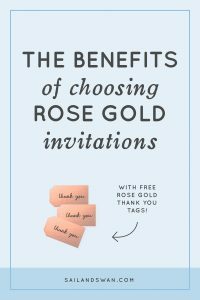 Rose gold is the perfect way to add a unique touch to your invitations and help them stand out from the crowd. As a result, rose gold can transform something simple into something stand-out; something normal can become a head turner. Another one of the great properties of rose gold is that it’s extremely versatile and forgiving. It can easily be incorporated with other colours or themes for your wedding day. Many couples opt for pink and rose gold as their theme, and navy blue is quite popular too. Rose gold can suit white, cream, pastels, marble, mint green, pale blue and lilac colours to name a few. Due to it’s versatile nature, you can mix Rose Gold with other textures and themes too – plants and greenery, wood, sequins, glitter, flowers etc. 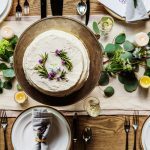 So whether you are having a stylish beach wedding or an ultra luxe theme, it can work both-ways. 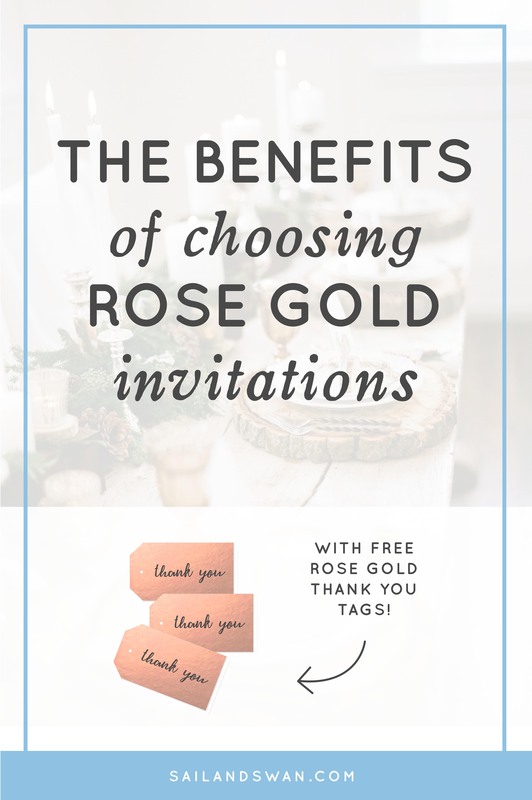 If you want to learn more about putting together a rose gold theme for your wedding, then you’ll love this post here where I teach you how to! 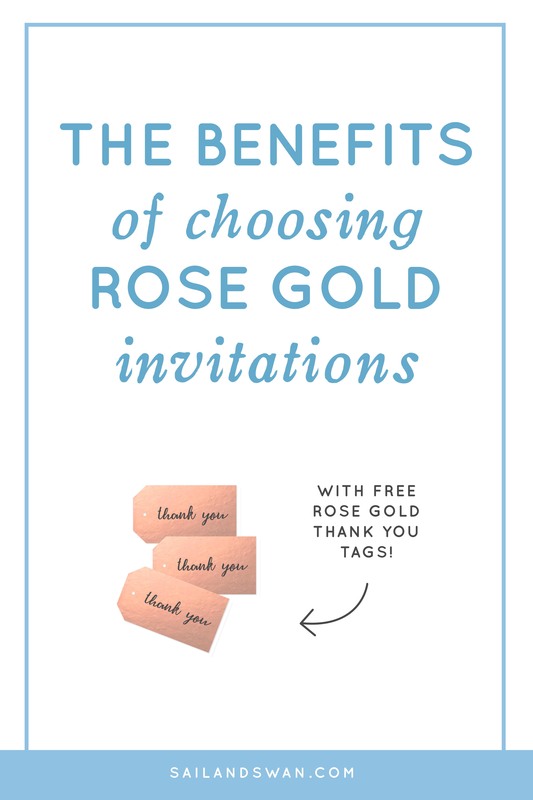 Want our free printable Rose Gold Tag Set? Simply click the image below to get access to this awesome freebie! Rose Gold is fairly costly compared to standard printing. 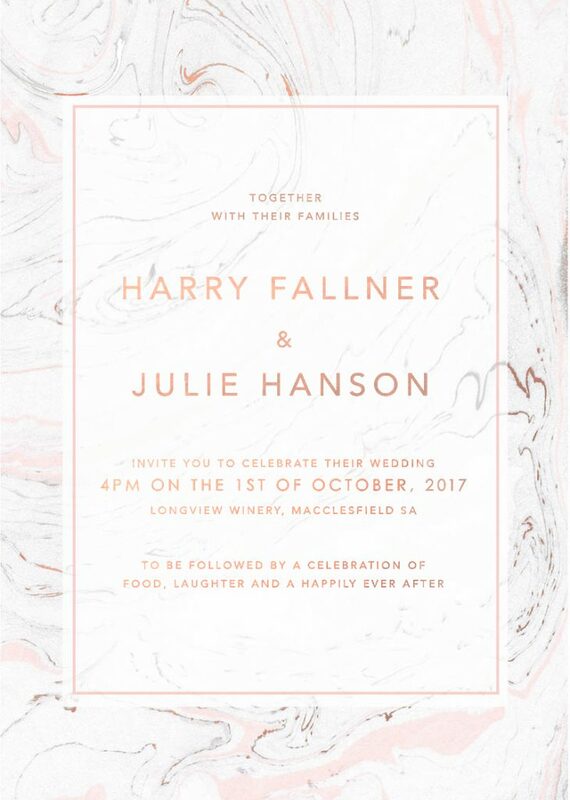 While absolutely breath taking, rose gold does cost more than normal colour printing, so this isn’t a good option if you are on a tight budget. It takes longer to print than standard printing. The foiling process takes significantly longer to complete, so you will need to allow approximately 2 weeks just for the printing alone. 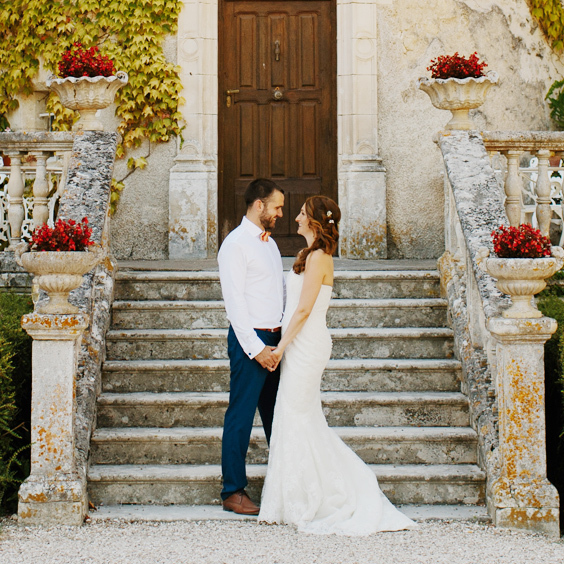 If you are bride who needs a quick turnaround then this may not be an ideal option for you. You may need to be more organised. 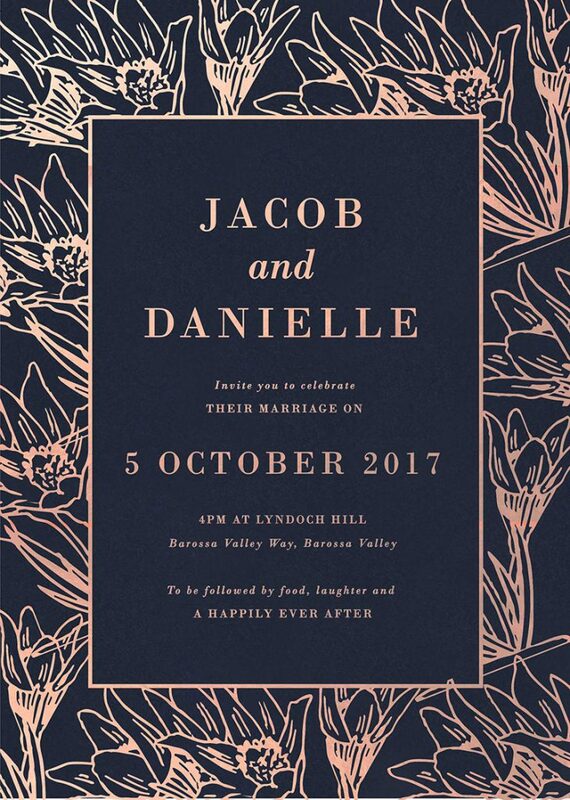 When it comes to printing rose gold, it will pay to plan ahead and give yourself lots of time. So there you have it, my lovely bride-to-be friends! 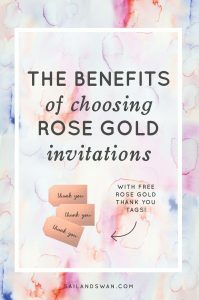 I hope this article has shown you the benefits of choosing rose gold invitations and aids you in your own decision. Want to access our awesome freebie? 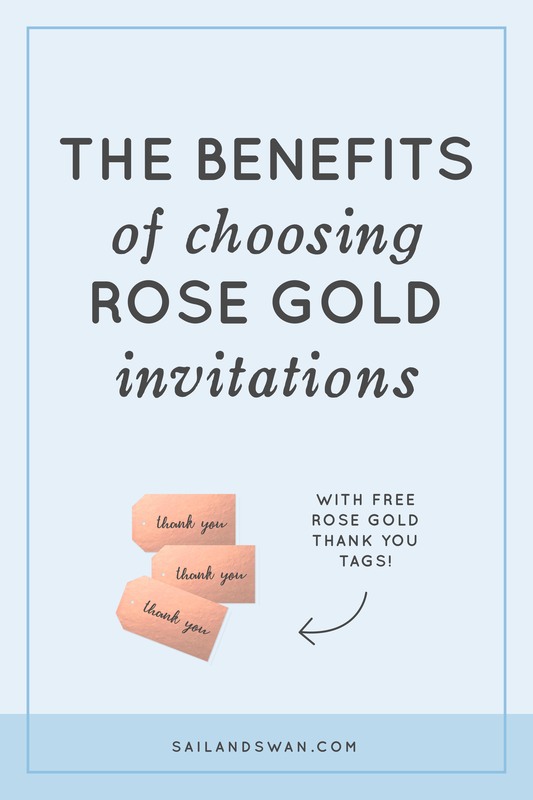 Click below to receive your free Printable Rose Gold Tag Set! 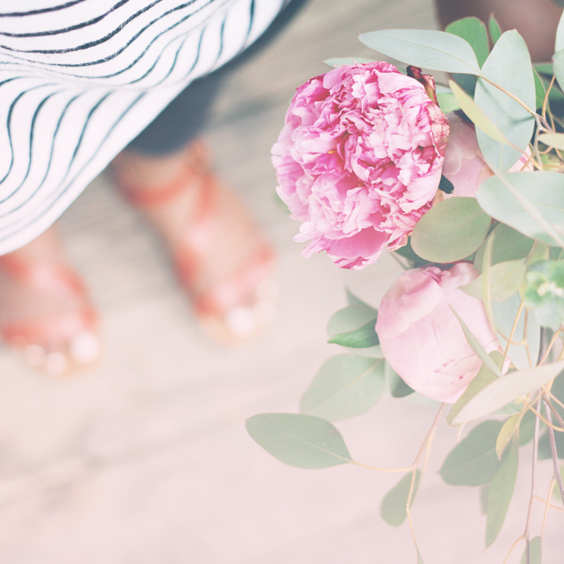 JOIN OUR NEWSLETTER FOR HANDY WEDDING TIPS, PRINTABLES + UPDATES, AND TO DOWNLOAD YOUR FREEBIE!